Almost half of men and women will find themselves in a relationship that's abusive in some way, but it's hard not to feel alone. KUSA – It happens across all ethnic backgrounds, sexual orientations, genders and ages. 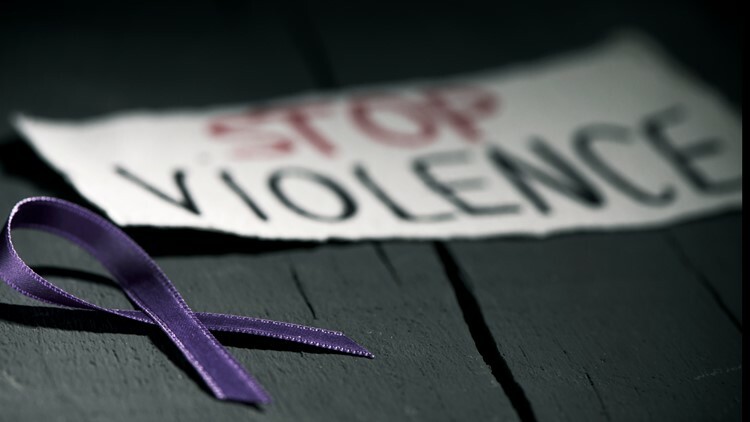 The Centers for Disease Control and Prevention said one in four women and one in nine men have experienced violence from their intimate partner. One in 10 high school students, meanwhile, have experience physical dating violence – the consequences of which include heart issues and depression. A domestic violence survivor named OG who agreed to talk to 9NEWS anonymously said people who come forward to report abuse need two things: to be believed and to be heard. “Too often, we hear ‘well, if he did that to you, why did you stay?’ rather than asking ‘why did these men hurt you that way?’” she said. OG said she can now look back on her relationship and point to things that were unhealthy. OG said she first met her future husband when she was visiting Colorado from out-of-state. When she went home to California to finish her bachelor’s degree, he surprised her by flying into town and surprising her with a proposal. She said yes, but had her doubts. “In my heart, I didn’t feel ready, so after I moved here I expressed that to him and said ‘maybe we should just live together,’ and he got angry and said ‘if we don’t get married then it’s over,’” OG said. She said the emotional abuse continued into her marriage, when he made her dress a certain away and only speak to certain people. When she got pregnant, she found herself just at home with the baby. While OG said she always experienced physical abuse, she said it wasn’t enough to qualify as domestic violence. She said she was hesitant to call anyone – especially police – for help. “I didn’t think it was such a big deal, and I think admitting that it was would have shattered the image I created about myself,” OG said. RELATED: You're in a bad car wreck. What do you do next? She said she knew she had to leave when the abuse spread to her child. At one point, OG claims her then-husband kidnapped their son for three weeks. She was able to hire a lawyer and got a restraining order. OG was also reunited with her son. “I knew we were going to be ok,” she said. Safehouse Denver helped OG with support and counseling. She’s now working as the executive director of a nonprofit in Colorado, and is teaching her younger children about how to set boundaries and what a healthy relationship looks like. OG has remarried and is in a healthy, loving relationship.